Slideshow: Would you be willing to part with millions of dollars to get one of these rare restyled versions of the SLR? The Mercedes-Benz SLR McLaren Stirling Moss is an incredibly rare car. Only 75 units were built before production was discontinued in 2009. To start it off, the car was only available to current SLR owners. It was named and based on the original 300 SLR roadster driven by International Motorsports Hall of Fame draftee and British Formula One race car driver, Sir Stirling Moss, in the 50's. Only 4 models were built in white, with two bearing Xenon headlamps and black carbon fiber. The current version that's on sale is one of the more exclusive models built in white. It was delivered to its first owner in 2009 in Berlin. Before being sold in 2015, the vehicle was rarely driven and had covered only 267 miles. 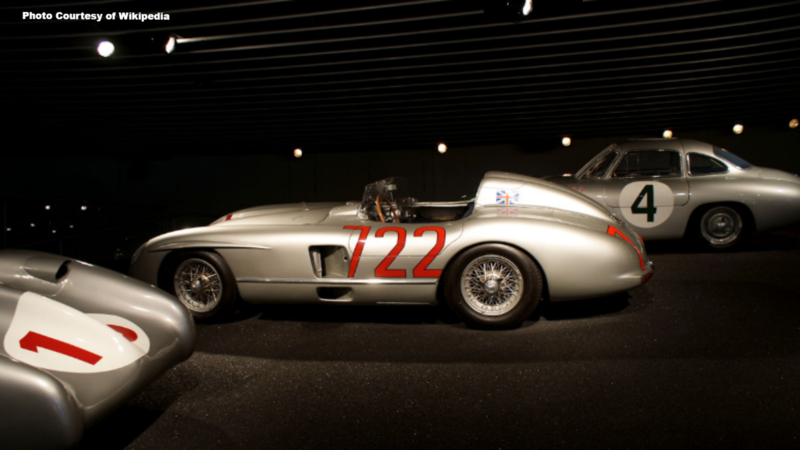 The second owner prepared it technically for the 50th Mille Miglia that took place in May 2015 at Mercedes-Benz in Stuttgart. After completing a successful and demanding run, the driver retired to a quiet life. The vehicle was only driven during special occasions and now reads 2,548 miles. >>Join the conversation about this Stirling Moss SLR McLaren right here in MBWorld. The SLR McLaren Stirling Moss was built in honor of Stirling Moss' victory in the 1955 Mille Miglia. The model inherits some of the best and most exclusive features of the original version. Moss raced in a silver SLR 300 Roadster that had tartan seats. He covered 992 miles in a little over 10 hours, finishing first. This was despite having very little knowledge of the local roads. 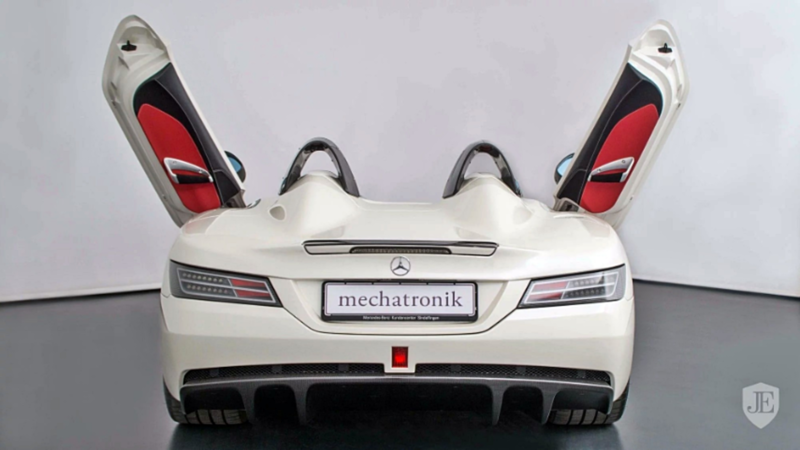 The SLR McLaren Stirling Moss features a roofless and totally exposed cabin. Small wind deflectors come in place of the windshield. 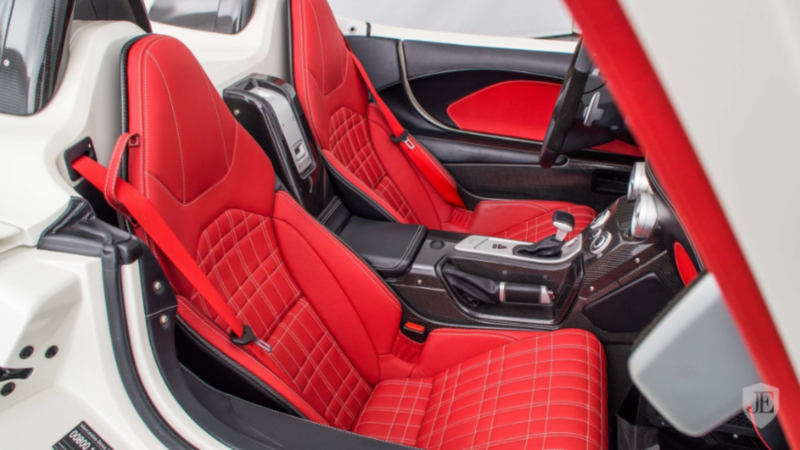 The interior narrows down to the basics, offering two seats and a mixture of red leather and carbon fiber. It has scissor doors that flow seamlessly from the elongated engine hood enhancing the aerodynamics and airflow optimization. Its legendary exhaust system breathes out just behind the front wheels. Thanks to its improved styling and construction, the car is 441 pounds lighter than the previous version. 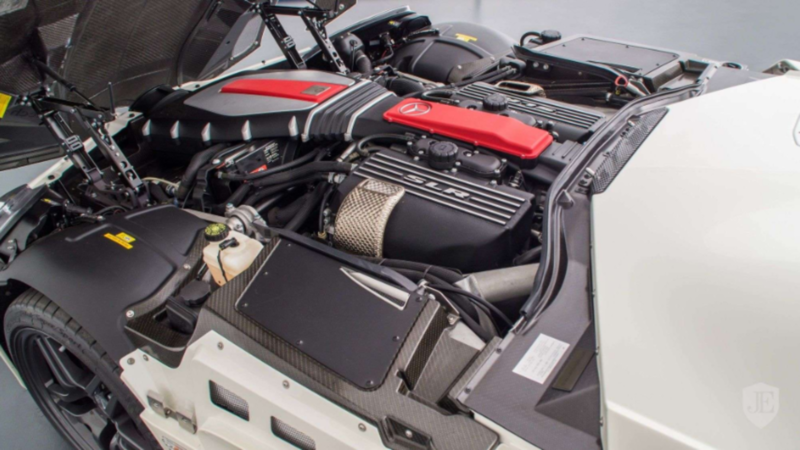 There's a 5.4-liter supercharged V8 engine sitting under the hood that churns a whopping 651 horsepower and 605 pound-feet of torque. This is 34 horses and 30 pound-feet of torque more than its previous version. The power is channeled through a 5-speed transmission that allows it to get from 0 to 62 mph in just 3 seconds. It also has a top speed of 217 miles per hour. 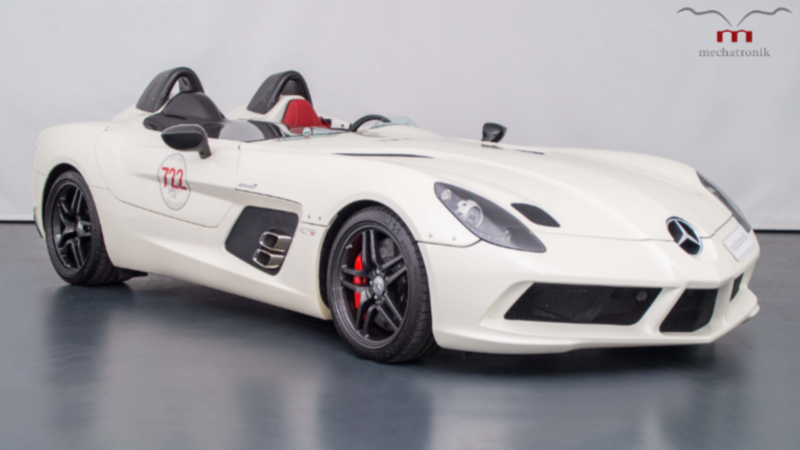 This rare SLR McLaren Stirling Moss is currently listed for sale by the luxury Mercedes-Benz seller Mechatronik GmbH. The price is available only on request. According to third-party listings, however, the price is estimated to be $3.36 million. At the time of production, each model was sold at $1 million. If it was brand new today, the car would go for $858,890. But, being an ultra-rare car, it's worth the price someone would be willing to pay for it. 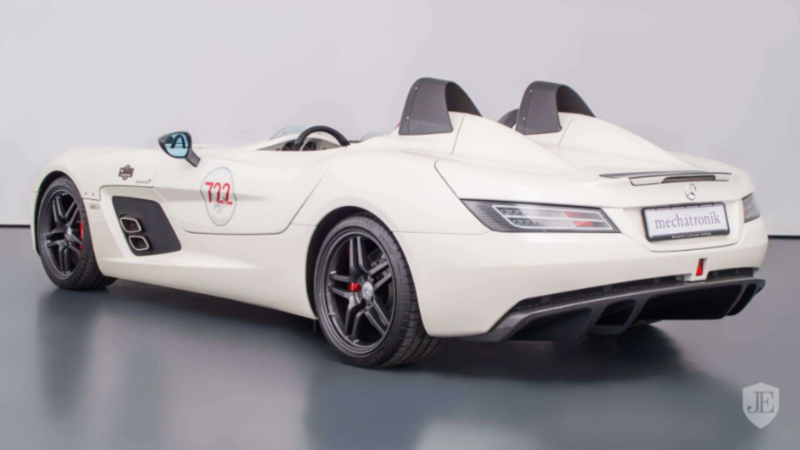 Other SLR McLaren Stirling Moss versions available for sale on third party sites are priced at approximately $3 million, making this its current worth.